Protecting the Source | Journalism in Today’s Political Climate is a thought provoking panel discussion with award-winning Canadian correspondents, examining the evolving conversation in news and journalism, with a focus on: covering sensitive topics, long-form investigations and podcasting, media ethics, exposing corruption, protecting sources, and walking the line between news and entertainment. Hamutal Dotan is the senior editor of The Walrus, and has a background in reporting on politics and public policy in Canada. Previously she was the editor of the weekend long-reads section of the Globe and Mail. She has edited numerous National Newspaper Award-winning stories and, once upon a time, led an online magazine to become the first in Canada to win a National Magazine Award without ever having issued a print edition. After a decade in the United States, Habib Nosheen returned to Canada to join CBC News. She was the co-host of the fifth estate for two years. She currently reports for CBC’s investigative unit. Prior to the CBC, she was with CBS NEWS: 60 Minutes in New York, where her work earned two Emmy awards. She was also the director and reporter for the Emmy award-winning documentary, “Outlawed in Pakistan” which aired on PBS FRONTLINE. The film premiered at the Sundance Film Festival where it was called “among the standouts” of Sundance by The Los Angeles Times. Prior to that, her PBS investigation, “To Adopt A Child,” earned her the Gracie Award for Outstanding Correspondent. A graduate of the Columbia School of Journalism Masters program in New York, her reporting has garnered numerous awards including three Emmy awards, the George Foster Peabody, the Gracie Award for Outstanding Correspondent, three Overseas Press Club awards, the New York Festival award, and the Third Coast Audio Festival award. She has also earned three nominations for the Livingston Award, which recognizes the work of top journalists under the age of 35. Habiba was born in Pakistan and moved to Canada at the age of nine as a refugee. She is fluent in four languages and is the proud mother of Sophie and Sahil. Her guilty pleasures include listening to terrible ‘90s pop music. 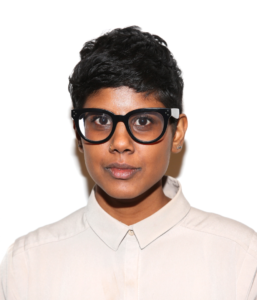 Manisha Krishnan is a senior writer and host at VICE Canada, reporting on subjects such as the cannabis industry, firearms, and sexual violence against women. In addition to closely covering Canada’s move to legalize weed, Manisha has hosted documentaries on an array of topics, including women’s gun culture in America and one about a psychedelic commune in BC. 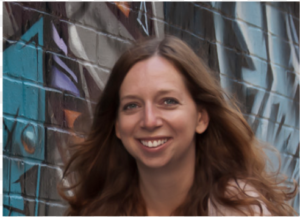 Her work has been nominated for two Canadian Screen Awards. 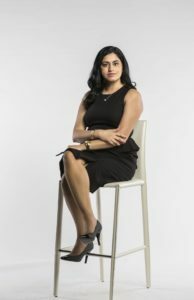 Manisha previously worked for The Toronto Star, Maclean’s magazine, the Calgary Herald and many other publications. Now into his 26th year working in Indigenous owned media, Paul Barnsley started at the weekly paper on the Six Nations reserve near Brantford Ontario in 1994. He was recruited to work for the Edmonton-based Windspeaker, a nationally circulated monthly, in 1997. In 2007, he was asked to create and manage APTN’s investigative news unit. The unit produces APTN Investigates, now into the last half of its 10th season. The show has picked up 22 national awards during that time – CAJs, Amnesty International Human Rights awards and others. Barnsley himself was honored by Journalists for Human Rights in 2016 with their lifetime achievement award. 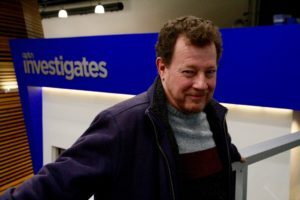 Etan Vlessing has worked as a print and online journalist and editor for 30 years, first in London, England as a financial journalist, and then in Canada as an entertainment journalist for the Hollywood Reporter, the Los Angeles-based industry trade newspaper. His articles appear worldwide via wire services. Etan graduated from the University of British Columbia with a degree in history, before going on to complete a masters degree in journalism at the City University in London, England.